The natural habitat of sloth bears has shrunk significantly in a rapidly changing human-dominated landscape. The inhabited areas on the fringes of the forests usually have uncovered wells that pose a huge risk to the safety of wildlife and people. In a two-hour long risky and dangerous operation carried out by Wildlife SOS, a male sloth bear that had accidentally fallen into a forty feet deep well was rescued. It was released back into the wild after medical treatment and observation. The Wildlife SOS team at the Bannerghatta Bear Rescue Center (BBRC) received a call from the forest officials about a sloth bear that had fallen into a deep well in Tumkur, a few hours’ drive from Bangalore. The well was located on a private agricultural field bordering the forest, about 700 meters from the forest. On hearing the distressed cries of the bear, the owner of the land instantly reported the incident to the Forest Department who in turn contacted Wildlife SOS. A four-member Wildlife SOS Rapid Response Team led by Dr. Nithin K of Wildlife SOS along with forest department officials rushed to the location, with the necessary rescue equipment. After preliminary assessment, the team lowered a safety net into the well to contain the bear. 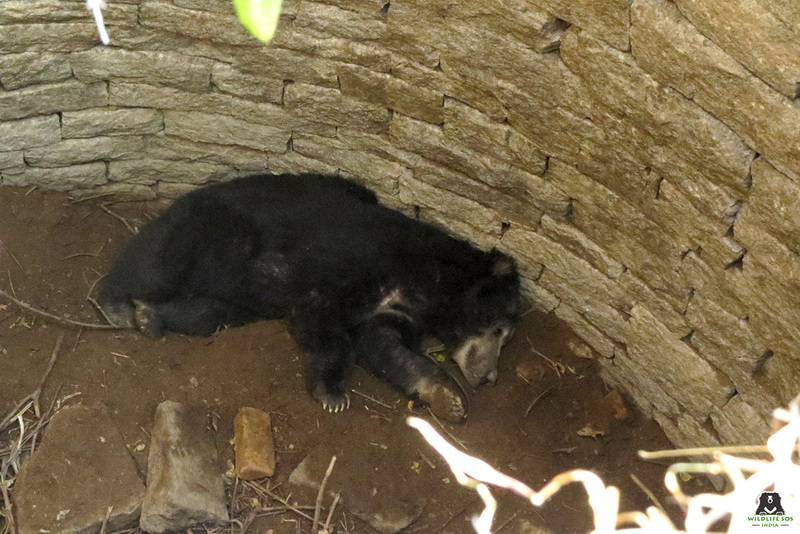 The sloth bear was mildly sedated and then safely extricated from the deep well. Investigations revealed that the sloth bear was trying to reach the honey combs on the edge of the well and accidentally slipped into the well. A complete orthopaedic examination was carried out to assess any internal injuries the bear might have sustained owing to its fall. The sloth bear was released back into the wild in the presence of Forest Department once it was found fit for release. The Bannerghatta Bear Rescue Center (BBRC) run by Wildlife SOS in collaboration with the Forest Department since 2005 has been instrumental in rescuing and providing life-time care for hundreds of Sloth Bears rescued from the Dancing Bear trade, poachers, and Human-bear conflict situations. The BBRC currently houses about 80 rescued Sloth Bears in large forested enclosures. Please note Bangalore Wildlife SOS Rescue HOTLINE# 9980145785.